Don’t miss out on this great opportunity to participate at strategic and policy level. 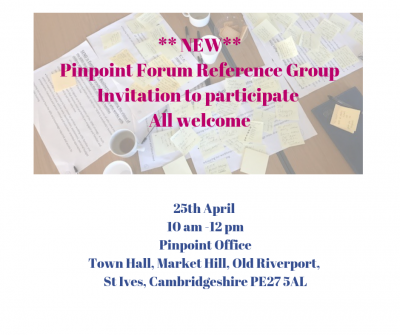 Pinpoint are offering a regular space for participation amongst those who want to influence at a strategic and policy level. This group will meet termly and be a place where participants can feed in to thinking about a wide range of policy and strategic work we are engaged in. We are going to invite parents who want to regularly participate to sign up.